time, routine calibration as defined by manufacturer, industry, and operator standards is necessary to periodically validate measurement performance. Information provided by measurement instruments is used for process control and decision making, so a difference between an instruments output signal and the actual process condition can impact process output or facility overall performance and safety. Instrument ranging is where a certain range of simulated input conditions are applied to an instrument and verifying that the relationship between input and output stays within a specified tolerance across the entire range of input values. Calibration and ranging differ in that calibration focuses more on whether or not the instrument is sensing the input variable accurately, whereas ranging focuses more on the instruments input and output. The difference is important to note because re-ranging and re-calibration are distinct procedures. Typical calibration timetables vary depending on specifics related to equipment and use. 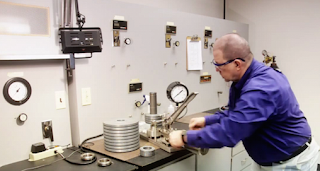 Generally, calibration is performed at predetermined time intervals, with notable changes in instrument performance also being a reliable indicator for when an instrument may need a tune-up. A typical type of recalibration regarding the use of analog and smart instruments is the zero and span adjustment, where the zero and span values define the instruments specific range. Accuracy at specific input value points may also be included, if deemed significant. The management of calibration and maintenance operations for process measurement instrumentation is a significant factor in facility and process operation. It can be performed with properly trained and equipped in-house personnel, or with the engagement of highly qualified subcontractors. 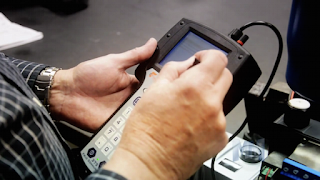 Calibration operations can be a significant cost center, with benefits accruing from increases in efficiency gained through the use of better calibration instrumentation that reduces task time.